Pros Unparalleled screen quality. 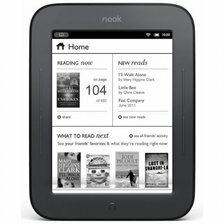 Adaptive front light optimizes for reading in all settings. Extremely thin and lightweight. 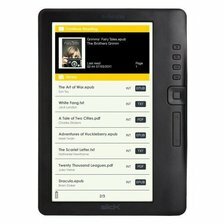 Cons Pricier than most other e-readers. 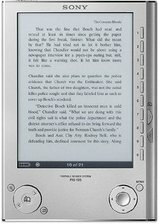 Summary Hands down the best E-reader on the market. No other product matches this one's speed, reliability, and storage capacity. 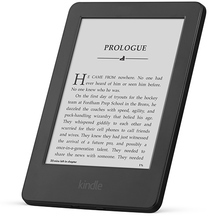 Pros Garners praise for its high-resolution display and spacious internal memory. Cons We wish it had a highlight option. Summary Solid performance and design, but it's a bit pricey compared to most competitors. Pros Seamless compatibility with multiple file types and ability to play MP3 files. Cons Doesn't come with a back light. Summary This product performs well enough for the price, but we wish it had a back light and HTML compatibility. Pros Caters to customers seeking a sharp display and compatibility with a variety of formats. Cons Rare occurrences of the touch screen freezing. Summary While it's a cheaper option on the market, it's a bit basic compared to better-equipped competitors. Pros Off the charts in terms of ease of use and reliability. 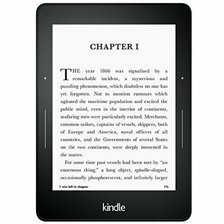 Clear, responsive touchscreen display and generous storage space. Cons Touchscreen can be a bit too sensitive for some users. Summary It's hard to find a better performer with such a clear display screen in this price range. Easily the best bang for your buck.